Q. When I planted my palms recently they looked green and vibrant. Now they look unhappy and the outer leaves are browning. What’s gone wrong? A. Palms bought which have been grown in glasshouse and shaded areas, will get die-back. Weather hardened palms, grown outside in wind, sun and rain (like Danny’s Palms & More) will transplant with very little or no die-back. 2. After planting, fertilise and water well. Continue to water every second day in summer and dry conditions. Small palms need water every day. Q. How fast does a palm grow? A. This is a complex question since a number of factors need to be considered. 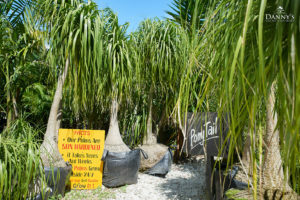 Palm varieties grow at a different rate, how the palm was planted, weather conditions, soil, location etc all impact on how fast a palm grows. Q. How often should I water my palms? A. Watering well after planting helps activate fertiliser and settle the palm. Water every two days or every day in dry conditions. Q. Can I transplant the palm from my garden to another place? 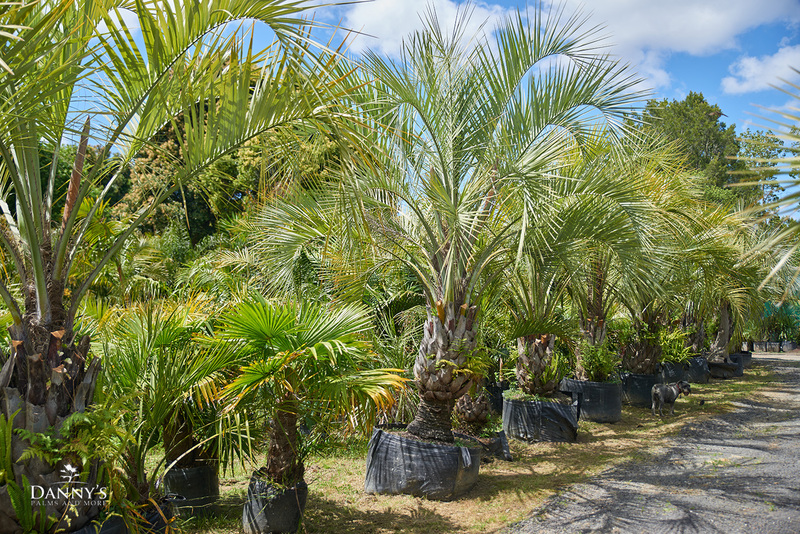 Some palms can take up to 2 years to re-establish themselves. The taller/older the palm, the longer it will take. Q. Can I take my indoor palm and plant it outside? A. In general, most varieties can be moved outside. However, you would need to sun harden them. This will help with the transition between inside and outside conditions. Fertilise and water well when planting. Q. I planted my palms a few years ago, now the leaves are yellowish and not looking healthy. Is this normal? A. Most common problems for palms are brought on by lack of water and fertiliser. However, palms will have lower leaves which brown off. This is a natural event which occurs as palms grow and new leaves grow. Q. Why have palms I planted at the same time, grown differently? We have an extensive range of palms to choose from in our nursery. Click here to view some of our range. Why not drop in and view the extensive range available in our nursery? Follow the link below for map and directions. You won't beat a Danny Deal!